Fashion Polish: piCture pOlish Peacock review! Hi guys! I hope you've all had a great weekend! 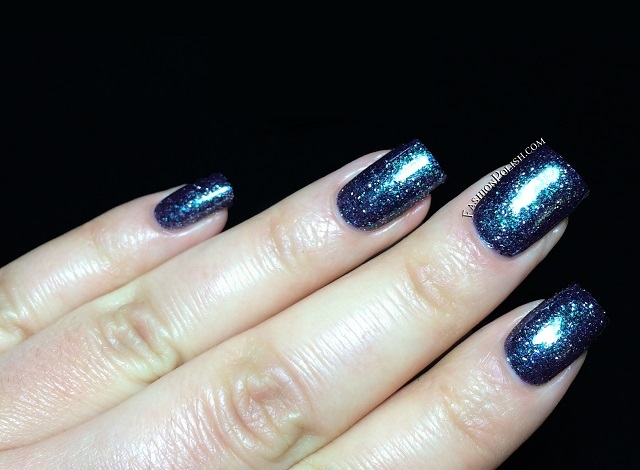 I have a very quick post to share with you today, one of the piCture pOlish glitters I've been the most excited about : Peacock! Peacock is a deep purple based literally packed with green glitters as well as silver micro glitters. It's a really unusual color but just perfect for vampy lovers! Formula was nice but went on a little sheer so I had to use 3 thin coats for complete coverage. 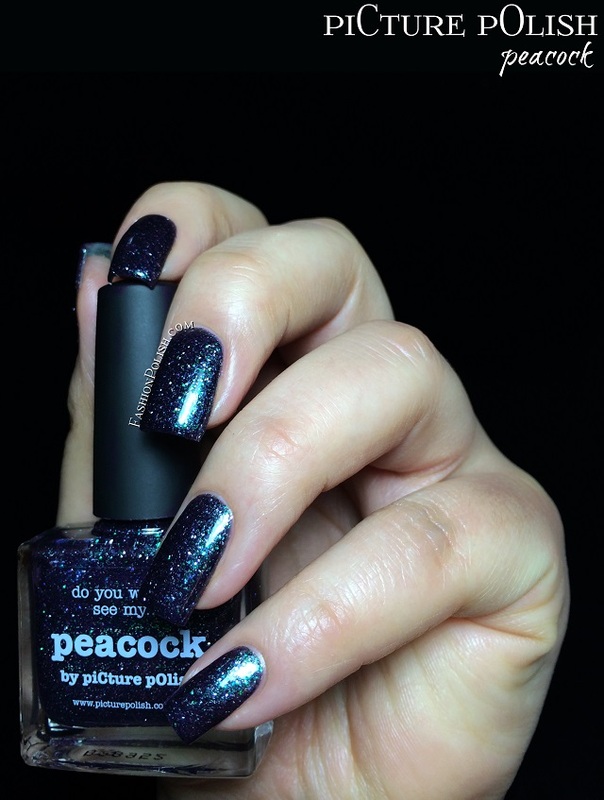 Peacock is everything I hoped it would be : dark, unique but mostly super sparkly! The green/silver combo catches the light beautifully like hundreds of tiny flickering stars! piCture pOlish Peacock retails for AU$12 and can be found online on piCture pOlish.com.au or through their international network. I hope you've enjoyed this post, thanks for looking and (early) happy new year!! !